I NEED TO...empower my warehouse employees to do more. Move to Android and raise worker productivity in four easy steps. Learn how your business can benefit from Android migration by using a Wavelink solution. Transform your supply chain with voice-enabled stock picking with Speakeasy, powered by Wavelink. The supply chain gets more competitive all the time. Your business must keep up. You're pressed to achieve 5% improvements in operational productivity, year after year. But, do your workers have the tools they need to get more done? Our tools are compatible with, and recommended by, all leading supply chain management (SCM) system providers. But here's the bottom line: your workers don't care about any of that. They simply want to do their jobs effectively and quickly. To make your team more effective, you've got to get the right technology in their hands. Help them do their jobs. Want productivity to increase? Modernise your existing warehouse technology. Seriously. Wavelink (now Ivanti) has helped companies gain warehouse productivity for decades. Productivity gains are revealed in a variety of metrics: money, time, workforce morale, workplace safety, and especially cost savings. Companies like Starbucks, Toshiba, and 3M use our products every single day to boost productivity. Our customers witness significant and measurable productivity benefits. Their ROI is realised in MONTHS, not YEARS. Beautiful and vivid multi-touch screens that aren't only easy, but FUN to use. We take the boring text of the host-application and turn it into an intuitive mobile app that your employees will love. The Velocity browser includes security controls that keep your workers within your web app, preventing distraction, while sharpening the focus on security. Simplicity keeps your team working hard. Use it for picking, sure. But also extend voice beyond picking to all sorts of warehouse tasks—from receiving and cycle counting to truck loading and put-away. The technology is ready and more affordable than you might think. Dashboards deliver the at-a-glance information you need to ensure your systems are optimised. These are world-class dashboards. Add our Xtraction connector for seriously next-level data. Need to update the applications running in the field? Don't want to disrupt workflow to do it? Automate processes so you can make changes in minutes (or seconds...if you're awesome). Whether you're opening a new distribution centre or entering a new market, our Avalanche product will scale with you. Need to manage 100,000+ mobile devices? Not a problem. Need to update the picking application your warehouse workers use? Select the necessary workers and deliver the updates they need to be more productive. It takes seconds. Only deploy something new if it will maximise worker productivity and order accuracy. When using our Speakeasy solution, customers (big and awesome ones) experience productivity gains of more than 50%. You want to get more out of your existing investments, but the pressure to do more continues to grow. You're not optimised. You know it. Your employees know it. And most importantly, the data shows it. Most companies like yours could boost productivity anywhere from 5% to 50% (or even more). That means a better work environment; much better accuracy; and a faster, quicker, leaner—just plain better—warehouse. 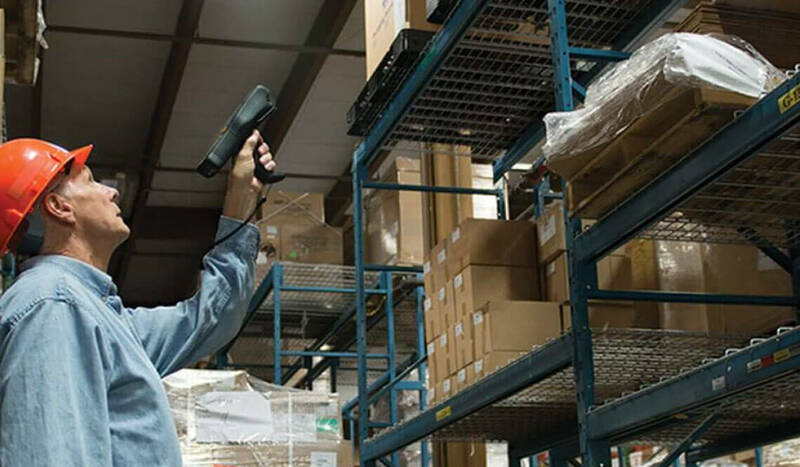 Our products allow your warehouse employees to do more. What products in our suite can help you improve productivity the most? Well, there are several options, but because of how our web team designed this page, we'll focus on three. (And they have cool names, so that's even better). Proven, trusted, scalable Enterprise Mobility Management. Add voice to what you already have. How can you stop the pain? When you deploy new technology, you need to do it quickly. And you need employees to use it and love it so they'll be more productive. Want a more productive warehouse? Improve safety with voice. Speakeasy enables a 'heads-up, eyes-forward, hands-free' experience for your workers. And it leverages the same hardware you're using. Workers can toggle across multiple sessions easily as they work on multiple tasks. No logging in and out or switching devices. Just work smart and quickly. Simple stuff. Eliminate delays caused by sluggish browser-screen presentation. Pairing this with security and data-capture features delivers a powerful productivity super-charge. It's like your warehouse on a caffeine kick. We know you use many devices and operating systems. Avalanche allows you to leverage the specialised technology your mobile devices and their respective operating systems have to offer. Use what you like and we'll help you get the most from it. Empower your support staff to take control of a device, analyse performance, and quickly return the user to full productivity. Remember, the goal is to empower your employees and improve their productivity. Go live when you want. Schedule device updates to take place at a specific time, or push updates at the next device check-in. You set the schedule to have the least amount of disruption to your operation.